Magnificent! Such is the stuff of fairy tales! Each castle is fascinating and intriguing; i wish we could step back in history and wander among the residents. I agree! Too bad no one was writing blogs back then. I would love to know what it was like to live in these castles, or even just to spend a few nights. I knew someone would get a kick out of him, and I’m happy it was you! We seem to share a similar sense of humor! Thanks, Curt! 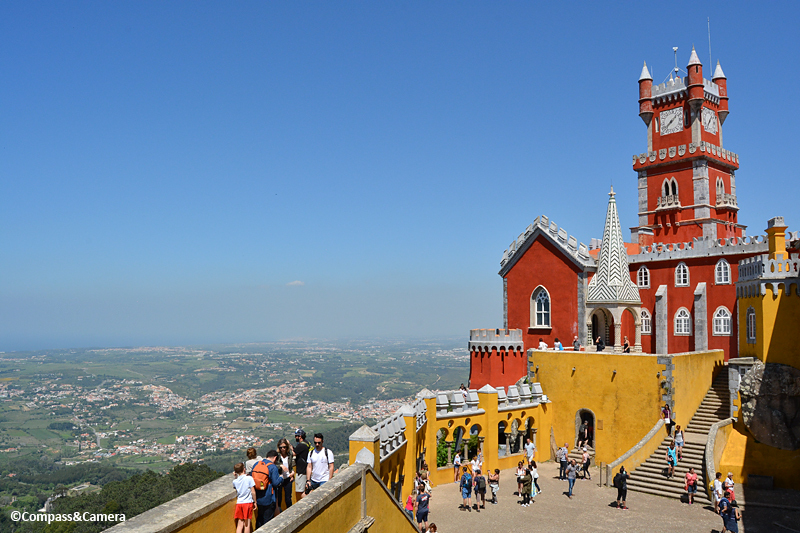 I’ve read about Pena Palace before, but I didn’t know there’s an impressive 8th- or 9th-century castle not too far from it. 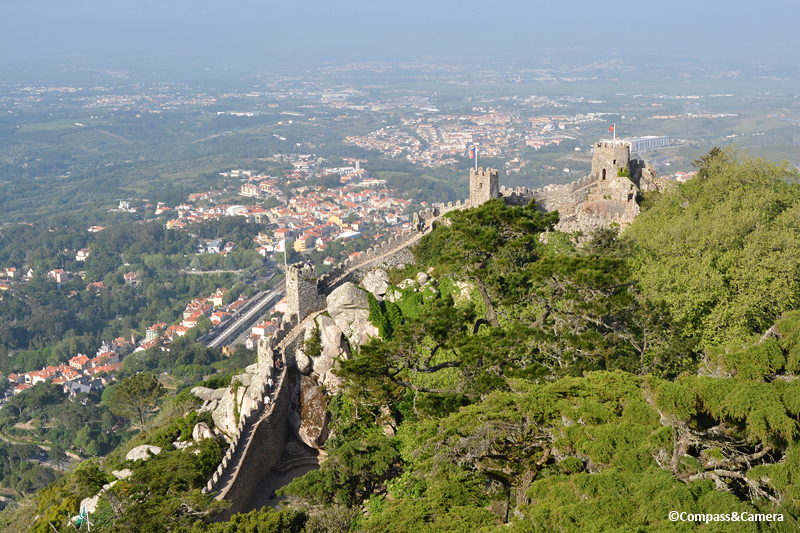 In spite of the lack of embellishments at Castelo dos Mouros, but its location and strategic importance in the past really make it special. 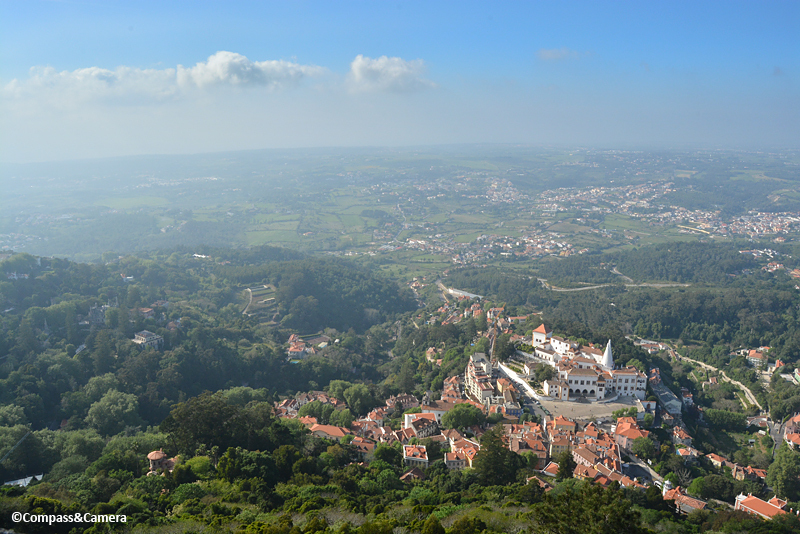 The view of Sintra from the castle is absolutely enthralling! Hey Bama! Isn’t it kind of fascinating that these two castles are so close to each other? Together they really provide a unique historical context for the area. And yes, that view is to die for. Feels like the top of the world. Thanks for your sharing your thoughts! Such wonderful photographs Kelly. 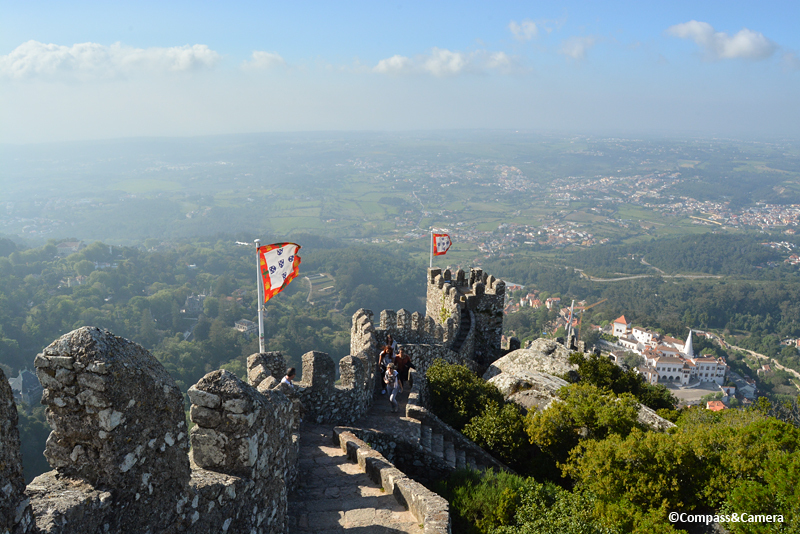 They have convinced me we must get to Portugal if only to see *both* castles. 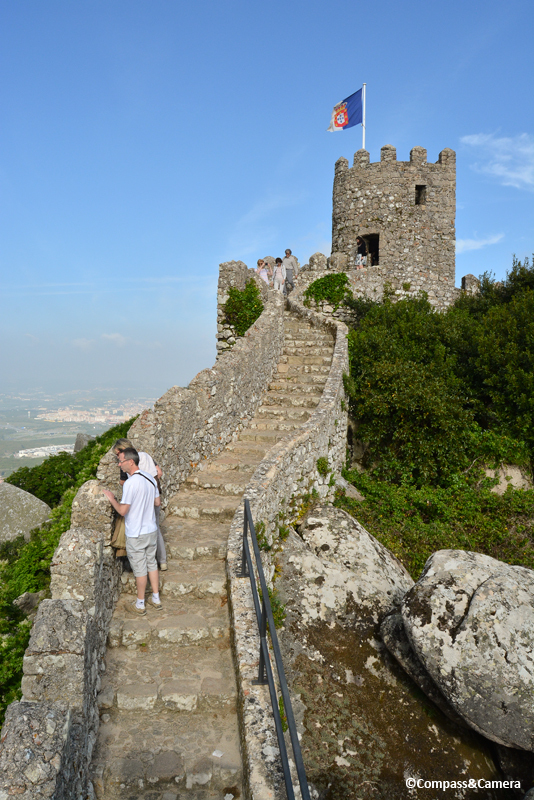 Pena is a must of course – exactly my kind of place, but as your telling, and photos, of the Moorish Castle unfolded I realised it is equally compelling. Thanks, Alison! 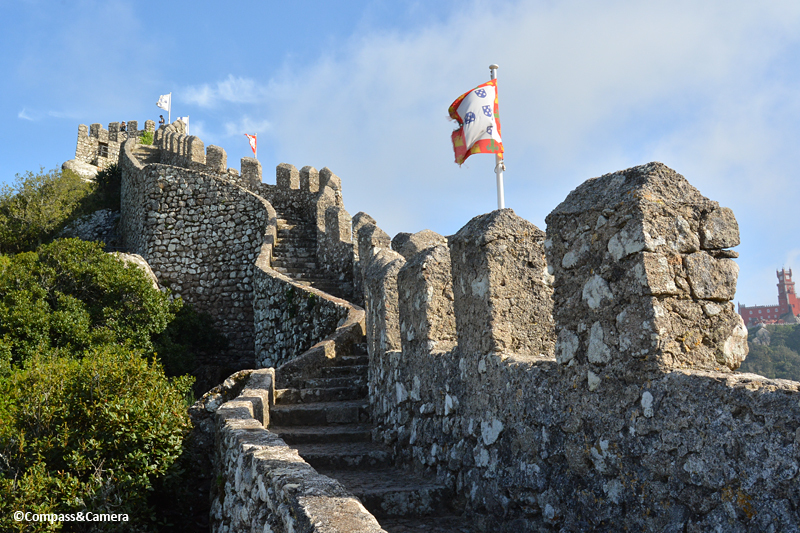 I had the same initial reaction — as we walked up to it, I expected that the Moorish castle was going to pale in comparison to the fancy palace. But the way that old stone wall snakes up the mountain and the feeling you get when you top those steps is just magnificent, and incomparable. Both castles are special but in very different ways. Thanks for your comment! Amazing place, and such a beautiful setting. 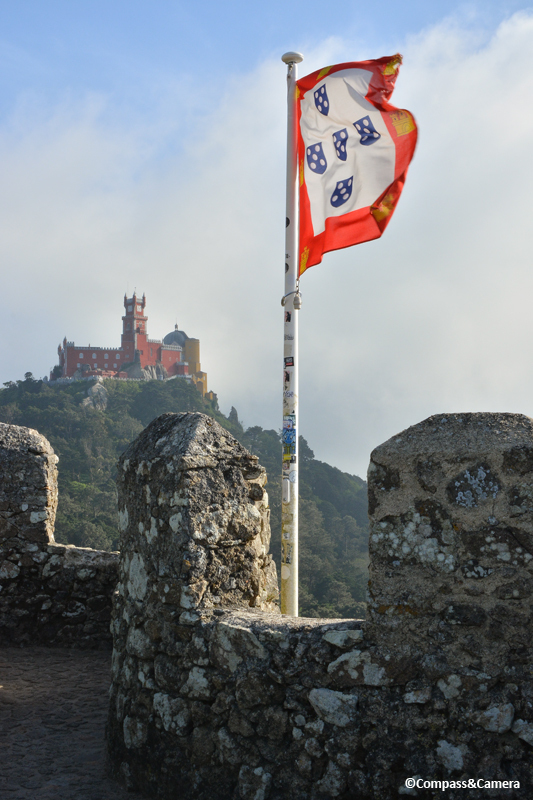 We had visited the castle before but did a an e-bike tour around Sintra two years ago. Great fun! Hey there! 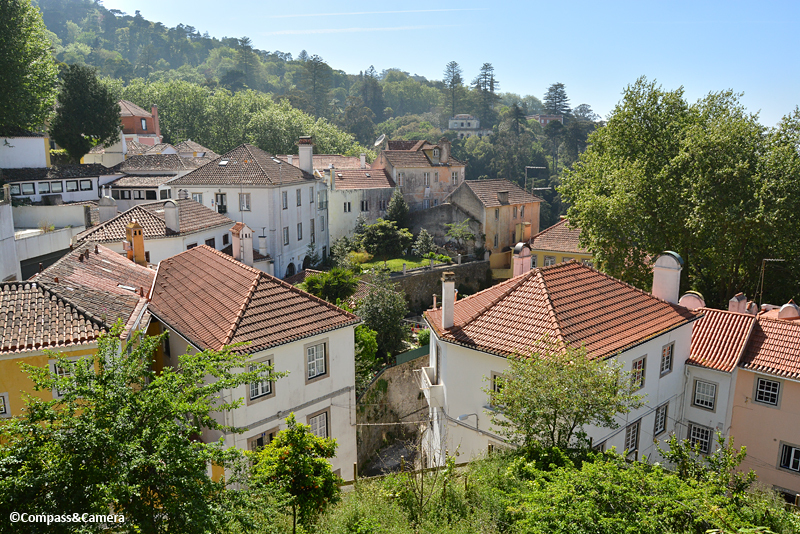 Yes, so beautiful in Sintra. E-bike tour sounds like a great idea! 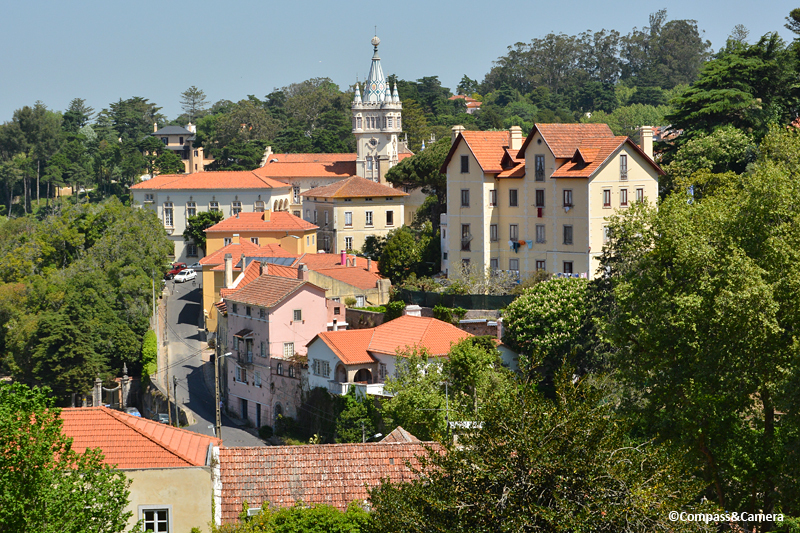 Thanks for your comment — hopefully others will consider this if they visit the town, especially with all the hills! I honestly think seeing both castles made each one more interesting! 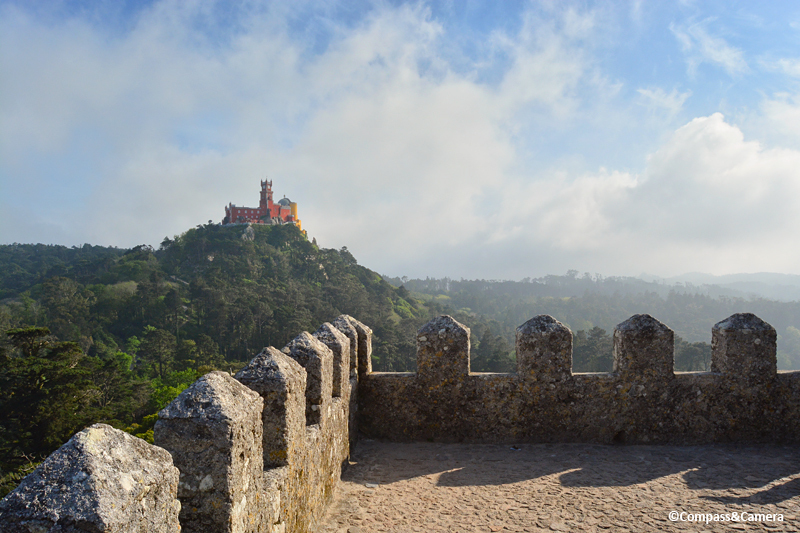 Sometimes I feel castled- and palaced-out, but these two counterpoints up there above Sintra on a perfect day were pretty spectacular, especially seen in relation to each other! I wonder if we would have done both … I can hear my husband grumbling about one, not to mention two, of these visits in one day! 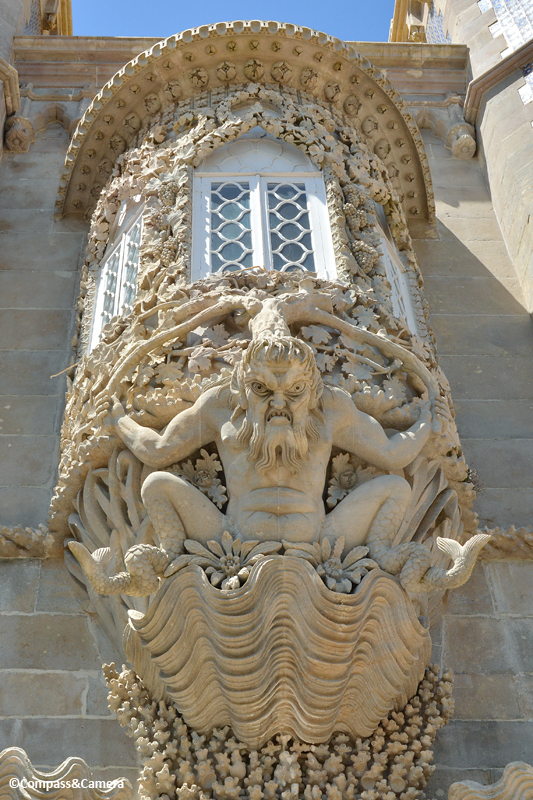 Loved the triton’s impolite pose (haha) and those scenes looking down on the town – wow! 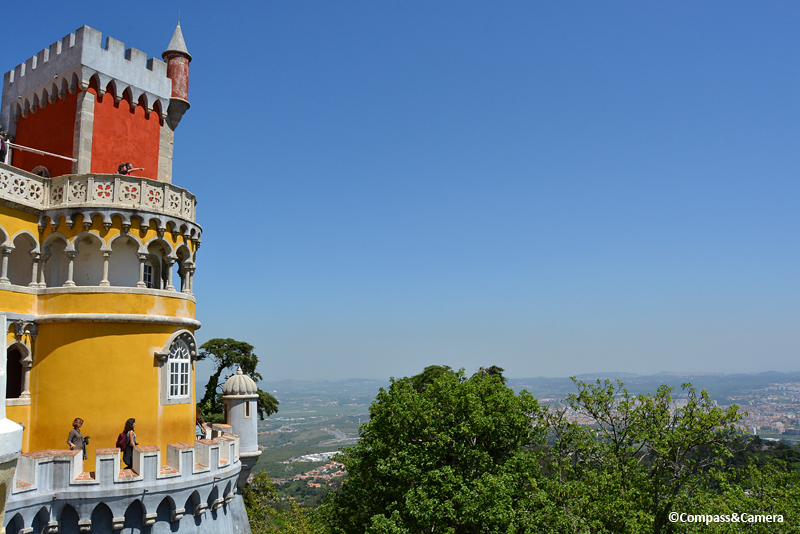 In love with the architecture of Pena Palace, the colours are amazing!! Such an interesting contrast between the two castles. Hey, Emma! 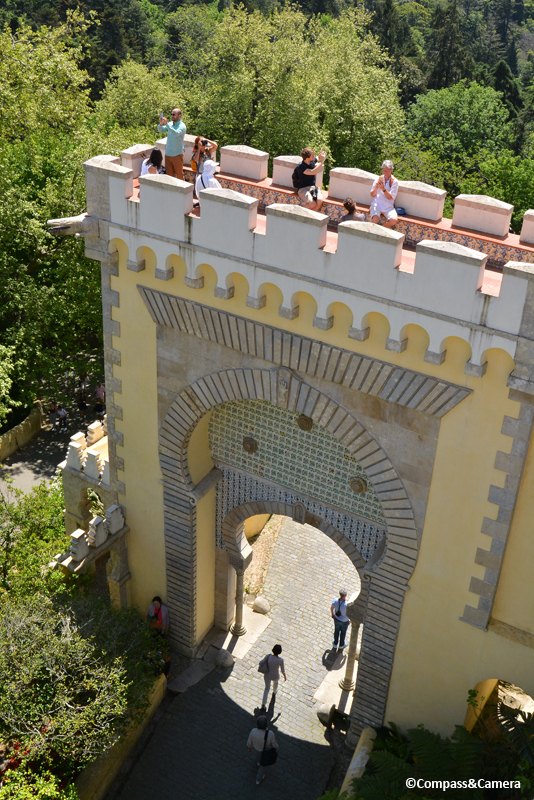 Great to hear you enjoyed seeing Pena Palace. Thanks for reading and sharing your thoughts. 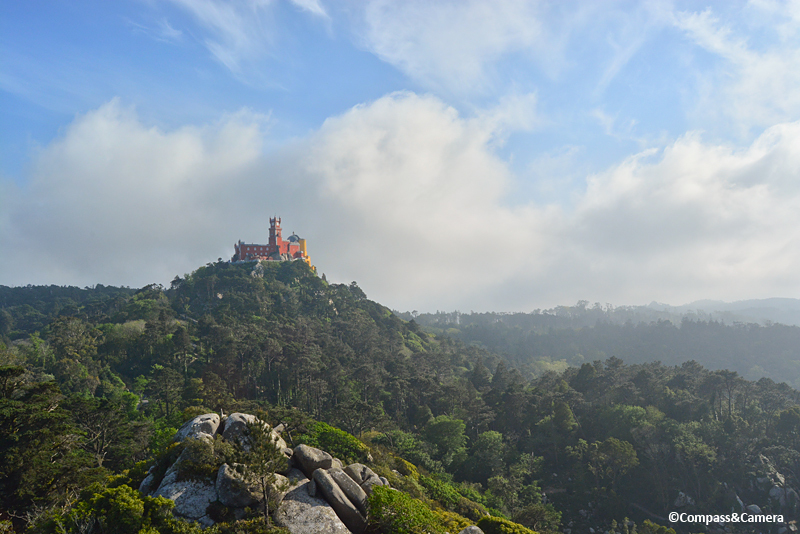 ‘Fanciful’ is the word I would use to describe Pena Palace too 🙂 We went to Sintra on a typically rushed escorted tour as an add on to a Spain itinerary many years ago. We have more or less decided to skip it this time. Your fantastic photos have me rethinking my decision. Hey Madhu! I’ve been off the grid for a week or so. Thanks for your comment! 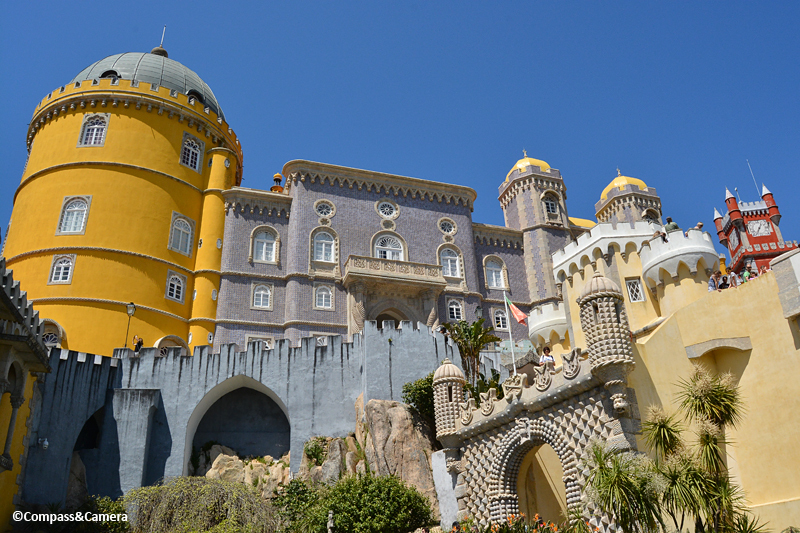 So many places to see in Portugal, I don’t blame you for skipping Pena Palace the second time! Can’t wait to read about your discoveries. Thank you for taking us along on this fantastic trip with your vivid descriptions and photography.